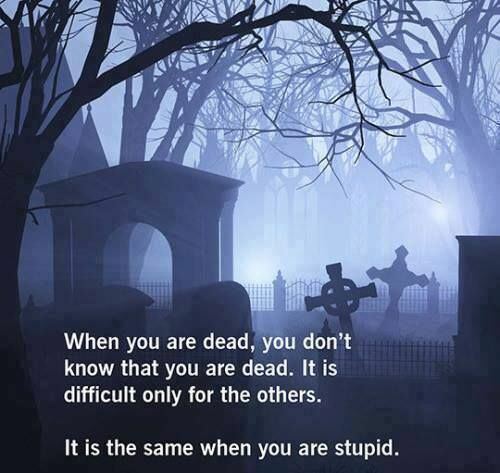 But dumb people tend to not know or believe they're dumb. Some people think they get smarter with age. Others, the older they get, the more they realize how little they know. A dummy like her is not going to be moved to introspection, deeper thinking or greater learning by seeing how dumb others think she is. But I'd still like to know her true inner reaction to it. It is kind of funny when someone is just smart enough to know they've been exposed or schooled by others. Aides force Ocasio-Cortez to watch every episode of "Schoolhouse Rock"
“This is outrageous! With the border crossings currently closed, this is the only 2 ways migrants can get into the US, and I don’t know which is better”. I am enjoying the fact that people are calling her "She Guevara". Bless her heart. Alexandria Ocasio-Cortez is like a Republican's dream come true: the media can't stop putting a microphone in front of her and, similarly, she can't stop saying ridiculous things. Besides saying there are "three chambers of government" (President, House & Senate), her confusing claim that having more than one job helps lower the unemployment rate, and recently comparing her own campaign success to the moon landing, Alexandria has now decided to take on government waste! $21 TRILLION of Pentagon financial transactions “could not be traced, documented, or explained.” $21T in Pentagon accounting errors. Medicare for All costs ~$32T. That means 66% of Medicare for All could have been funded already by the Pentagon. And that’s before our premiums. Ok, so Alexandria claims the Pentagon is responsible for $21 trillion in wasteful spending. Wow! That's quite a claim - especially if you consider the entire military spending budget from 1789-2018 is $18 trillion. WOW! So the military misspent $3 trillion that they never even received?! That's amazing, mostly because it's impossible. But let's pretend what Alexandria is saying is true: the Pentagon misspent all the money they received from 1789-2018, plus an additional $3 trillion that never even existed. This is especially baffling if you consider that the Pentagon didn't even exist until 1941. That would mean, but Alexandria Ocasio-Cortez's own logic, the Pentagon was misspending money for 152 years before they even existed. And $21 trillion, the number that Alexandria is throwing around, is also the total number of our country's national debt. I'm not saying Alexandria Ocasio-Cortez is stupid, I'm just saying she's unintelligent, ignorant, dense, foolish, dull-witted, slow, simpleminded, vacuous, vapid, idiotic, imbecilic, obtuse, doltish; informal-thick, dim, dimwitted, slow-witted, dumb, dopey, dozy, moronic, cretinous, pea-brained, half-witted, soft in the head, brain-dead, boneheaded, thickheaded, wooden-headed, mutton-headed, and daft. In all seriousness, please allow me to play devil's advocate for just a moment: government waste is a real problem. Conservatives are generally very critical of government waste, unless said waste originated in the Pentagon. Then no one seems to care. Back in February 2018 a report by Politico suggested there was hundreds of millions of dollars in waste at the Pentagon and nobody batted an eye. This is a real problem. So, while I'm pleased to see our new Congressional socialist super star taking an interest in earmarking waste, one has to wonder how she didn't realize her math was just a wee bit off when she landed on $21 trillion. Similarly, when you're trying to highlight how the government recklessly misspends our money and, in doing so, the conclusion you reach at the end of your research is, "And now the government should spend even more than that on a single-payer healthcare system," you're really missing the point of the problem you just devoted time to analyzing: granting too much trust to the government when dealing with our money can be very problematic. Alexandria Ocasio-Cortez wants socialism and American voters might be ready for it... but our budget and economy sure aren't. Medicaid-For-All is what Alexandria and Bernie are pushing, so how much does that cost? Short answer: $42 trillion over the decade and $218 trillion over 30 years -- according to the CBO. So why would we want to give the government more of our money if they have a history of mishandling it? I can't answer that question because, like many of you, I usually rely on logic instead of emotion when forming a conclusion to my research. And that's why I'll never be a socialist. She probably misspoke. I bet she meant to say “zillion”. Commenters online are calling for an ethics investigation into Democratic Socialist Rep.-elect Alexandria Ocasio-Cortez after she threatened Donald Trump Jr. for posting a meme making fun of her. In response to a Washington Post write up of the meme, Ocasio-Cortez threatened to use the “subpoena power” of Congress against Trump Jr.
Commenters pointed out that the act of threatening to use the power of Congress against other Americans for partisan gain is prohibited by ethics rules. Sean Davis of the Federalist pointed to House Ethics Manual stipulations that members of Congress are “prohibited from threatening” due to partisan politics and cited the statute. "Occasional Cortex" is perfect...except somebody will have to explain it to her. I am sure she is too stupid to know there are such a things as ethics rules. Great job NY keeping up the democrat tradition of electing total idiots. Well, she's a Democrat, are there? I'm really sick of the 2-tier justice system these days. ok, I will bite..........when has she been coherent??????????? Even a broken clock is right 2x per day. I'm sure she is unintentionally coherent quite often! I'm not going to take that bet! I doubt she has very many bouts of coherency, unintentional or otherwise. Yes, dear, but are the adults going to let you play with their toys whenever you want? Being a first-term member of a 435-weasel assembly doesn't necessarily make you important, and it doesn't necessarily make people respond to you at the drop of a hat. Well, we finally have someone in Washington DC who is actually dumber than Maxine Waters.